Hair Elasticity is very important to know when you have natural hair. 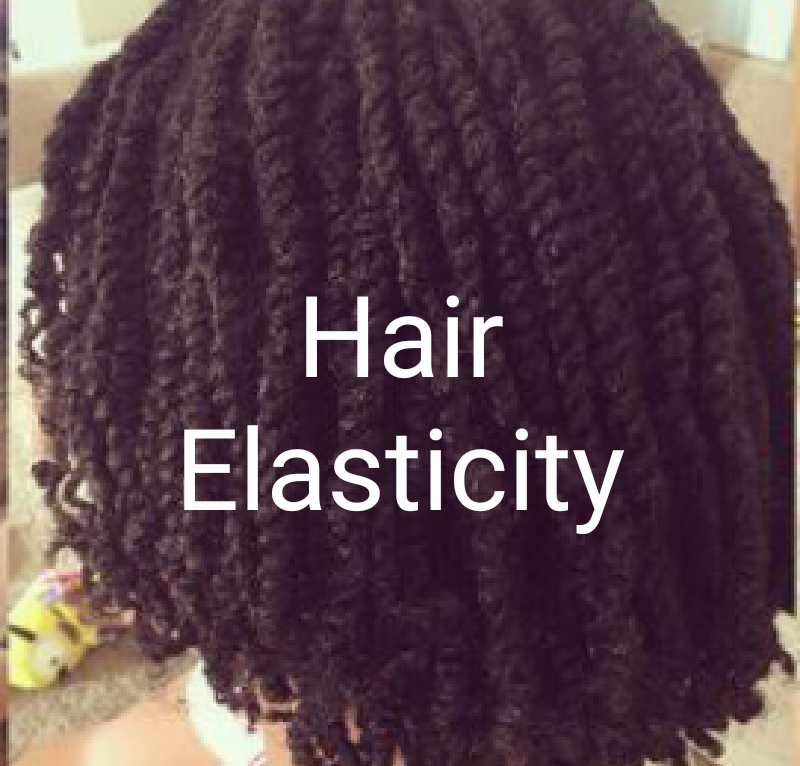 Hair elasticity is an indicator of healthy natural hair. If your hair is healthy, it will have high elasticity, which is shown by the way it bounces back to it original form when pulled on. If your hair has lost elasticity, it will look limp and can break easily. Also, when pulled, it will stay in that stretched position. What Can Affect Hair Elasticity? How Can You Maintain Or Restore Your Hair Elasticity? Incorporate routine protein treatments. Make sure you are using real protein treatments that penetrate into your hair shaft. When buying products with for protein treatment, hydrolyzed protein is a great ingredient that should be present. Even if you are Low porosity, you can still use protein, just minimize the frequency at which you use it.